Internet uses standard based Internet technology such as HTTP and TCP/IP. This means easy integration with your present network protocols and easy Internet publishing of selected information. Pointer Soft has special skill in catering all your needs for web based intranet applications. We provide elite and fashionable design for all intranet-based applications. Internet Applications get groups on the same page with tools to boost collaboration and communication. Web based software or communication software are the forms of internet or extranet applications. internets are high security applications that will help your organization in work flow management, creating MIS Reports, generating case logs, etc. With this pre-built application you can create and manage company employees, news, events, projects, tasks, web resources, work flow management, MIS Reports, documents and discussion forums. 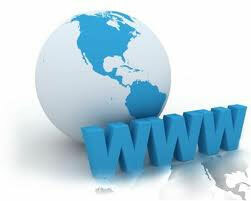 Internet Application is entirely Web based and customizable. internet applications are used in all forms of industries from bank's to MNC's to BPO's, such online applications helps you to grow your business in a real time. An internet, extranet and VPN are empowering technologies that provides your users with an organized and effective mean to access your company information. A platform independent solutions , internets can be as small or large as the community of interest. As new technologies become available it is more important to make sure that you have access to the resources it takes to implement solutions. Dynamic Webs have a wealth of experience and expertise to assist in moving your company ahead to a more advanced level of electronic/digital operation. We help you to plan, implement and maintain vital network resources imperative to your organization.